A growing body of research demonstrates that chronic negative emotions such as bitterness, cynicism, mistrust, and hostility – all expressions of not forgiving – sap your energy and undermine your mental and physical well-being. A recent study found that subjects who were instructed to rehearse unforgiving responses to a violation experienced elevated blood pressure and increased arousal of the sympathetic nervous system. If these physiological effects are chronic and intense, they could compromise your immune system, increasing the risk of cancer or infectious diseases, or building calcifications in the coronary arteries leading to cardiovascular disease. Refusing to Forgive may isolate you not just from the person who hurt you but from those who have done you no harm. Mistrust is like blood seeping from a wound, staining everything it touches. Morbidly absorbed in the injury, you may push everyone away, even those who care for you and want to help you heal. Unable to open up to them, or even admit that you welcome their support, you’re likely to stand firm but alone. Stabilizing and strengthening yourself requires more than a shot of indignation. You need to turn inward and make sense of the injury so you can go on with your life. You need to reach out and develop more nourishing connections with those who are there for you, or who would like to be there for you. There’s a difference between nursing your wounds and binding them, a difference between destructive rage and constructive anger. When you don’t know the difference, not forgiving becomes your reason for being. Giving up the brute arrogance of not forgiving is hard work. You need to dismantle your pride, learn humility, and stop blaming others for your share of the problem. Most of us have suffered violations that seem unpardonable. Refusing to Forgive seems to demonstrate our courage and wisdom – our strength, our self-respect, our right to justice. The truth is, however, that refusing to forgive offers only a superficial balm for our wounds. It may give us a temporary rush of power, but it doesn’t permit a clear, measured, self-sustaining response. It doesn’t release us from our preoccupation with the offender or provide anything more than hatred to rebuild our injured pride. It gives us a veneer of protection but doesn’t really make us any less fragile or more fulfilled as human beings. In the end, Not Forgiving is just that – a negative force, a way of not being engaged in life. It is a sorely limited, constricted, hard-hearted response to injury that feeds on hate and humiliation and diverts us from the greatest challenge of all – to make peace with ourselves so we can feel whole and happy to be alive. 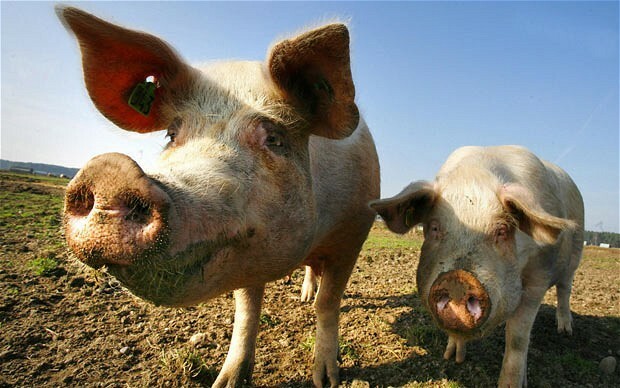 It said residents had complained about young people smoking drugs in the area and, although there is a slight smell from the pig manure, locals ”would much rather have a pong than a bong”. VIEWED superficially, the part of youth that the psychologist Jean Piaget called middle childhood looks tame and uneventful, a quiet patch of road on the otherwise hairpin highway to adulthood. Said to begin around 5 or 6, when toddlerhood has ended and even the most protractedly breast-fed children have been weaned, and to end when the teen years commence, middle childhood certainly lacks the physical flamboyance of the epochs fore and aft: no gotcha cuteness of babydom, no secondary sexual billboards of pubescence. Yet as new findings from neuroscience, evolutionary biology, paleontology and anthropology make clear, middle childhood is anything but a bland placeholder. To the contrary, it is a time of great cognitive creativity and ambition, when the brain has pretty much reached its adult size and can focus on threading together its private intranet service ??? on forging, organizing, amplifying and annotating the tens of billions of synaptic connections that allow brain cells and brain domains to communicate. Subsidizing the deft frenzy of brain maturation is a distinctive endocrinological event called adrenarche (a-DREN-ar-kee), when the adrenal glands that sit like tricornered hats atop the kidneys begin pumping out powerful hormones known to affect the brain, most notably the androgen dihydroepiandrosterone, or DHEA. Researchers have only begun to understand adrenarche in any detail, but they see it as a signature feature of middle childhood every bit as important as the more familiar gonadal reveille that follows a few years later. Middle childhood is when the parts of the brain most closely associated with being human finally come online: our ability to control our impulses, to reason, to focus, to plan for the future. Young children may know something about death and see monsters lurking under every bed, but only in middle childhood is the brain capable of practicing so-called terror management, of accepting one?? ?s inevitable mortality or at least pushing thoughts of it aside. Other researchers studying the fossil record suggest that a prolonged middle childhood is a fairly recent development in human evolution, a luxury of unfolding that our cousins the Neanderthals did not seem to share. Still others have analyzed attitudes toward middle childhood historically and cross-culturally. The researchers have found that virtually every group examined recognizes middle childhood as a developmental watershed, when children emerge from the shadows of dependency and start taking their place in the wider world. Much of the new work on middle childhood was described in a recent special issue of the journal Human Nature. As a research topic, ?? ?middle childhood has been very much overlooked until recently,??? said David Lancy, an anthropologist at Utah State University and a contributor to the special issue. ?? ?Which makes it all the more exciting to participate in the field today.??? The anatomy of middle childhood can be subtle. Adult teeth start growing in, allowing children to diversify their diet beyond the mashed potatoes and parentally dissected Salisbury steak stage. The growth of the skeleton, by contrast, slows from the vertiginous pace of early childhood, and though there is a mild growth spurt at age 6 or 7, as well as a bit of chubbying up during the so-called adiposity rebound of middle childhood, much of the remaining skeletal growth awaits the superspurt of puberty. ?? ?Adulthood is defined by being skeletally as well as sexually mature,??? said Jennifer Thompson of the University of Nevada, Las Vegas. ?? ?A girl may have her first period at 11 or 12, but her pelvis doesn?? ?t finish growing until about the age of 18.??? The 18-year time frame of human juvenility far exceeds that seen in any other great ape, Dr. Thompson said. Chimpanzees, for example, are fully formed by age 12. With her colleague Andrew J. Nelson of the University of Western Ontario, Dr. Thompson analyzed fossil specimens from Neanderthals, Homo erectus and other early hominids, and concluded that their growth pattern was more like that of a chimpanzee than a modern human: By age 12 or 14, they had reached adult size. Life for Neanderthals was nasty and short, Dr. Thompson said, and Neanderthal children had to get big fast, which is why they hurtled through adolescence at the equivalent of today?? ?s chapter-book age. Our extreme form of dilated childhood didn?? ?t appear until the advent of modern Homo sapiens roughly 150,000 years ago, Dr. Thompson said, when adults began living long enough to ease pressure on the young to hurry up and breed. And what an essential luxury item middle childhood has proved to be. ???It?? ?s consistent across societies,??? Benjamin Campbell, an anthropologist at the University of Wisconsin in Milwaukee said. ?? ?In middle childhood, kids start making sense.??? Parental expectations rise accordingly. ?? ?Kids can do something now,??? said Dr. Campbell, who edited the special issue. ?? ?They can do tasks. They have economic value.??? Boys are given goats to herd and messages to deliver. They hunt and fish. Girls weave, haul water, grind corn, chop firewood, serve as part-time mothers to their younger siblings; a serious share of baby care in the world is performed by girls not yet in their teens. Workloads and expectations vary substantially from one culture to the next. Karen Kramer and Russell Greaves of Harvard compared the average number of hours that girls in 16 different traditional cultures devoted each day to ???subsistence??? tasks apart from child care. Girls of the Ariaal pastoralists in northern Kenya worked the hardest, putting in 9.6 hours daily. Agriculturalist girls in Nepal worked 7.5 hours a day. Then you come to the more laid-back lives of the foragers. The researchers focused on the Pum? ?, a foraging group in west-central Venezuela, where preadolescent girls do almost nothing. They forage less than an hour a day, significantly less than their brothers, and are very inefficient in what little they do. They prefer hanging out at the campsite. ???Pum?? girls spend their time socializing, talking and laughing with their friends, beading and resting,??? Dr. Kramer said. But most cultures mark the beginning of middle childhood with some new responsibility. Kwoma children of Papua New Guinea are given their own garden plots to cultivate. Berber girls of northern Africa vie to prove their worth by preparing entire family meals unassisted. In the Ituri forest of Central Africa, Mbuti boys strive to kill their first ?? ?real animal,??? for which they will be honored through ritualized facial scarring. And in the United States, children enter elementary school, for which they will be honored through ritualized gold starring. In middle childhood, the brain is at its peak for learning, organized enough to attempt mastery yet still fluid, elastic, neuronally gymnastic. Children have lost the clumsiness of toddlerhood and can become physically gymnastic, too, and start practicing their fine motor skills. And because they are still smaller than adults, they can grow adept at a skill like, say, spear-tossing, without fear of threatening the resident men. e family context and into the neighborhood context,??? Dr. Campbell said. The all-important theory of mind arises: the awareness that other people have minds, plans and desires of their own. Children become obsessed with social groups and divide along gender lines, girls playing with girls, boys with boys. They have an avid appetite for learning the local social rules, whether of games, slang, style or behavior. They are keenly attuned to questions of fairness and justice and instantly notice those grabbing more than their share. The mental and kinesthetic pliancy of middle childhood can be traced at least in part to adrenarche, researchers said, when signals from the pea-size pituitary at the base of the brain prod the adrenal glands to unleash their hormonal largess. Adrenal hormones like DHEA are potent antioxidants and neuroprotectants, Dr. Campbell said, and may well be critical to keeping neurons and their dendritic connections youthfully spry. Evidence also suggests that the adrenal hormones divert glucose in the brain to foster the maturation of the insula and anterior cingulate cortex, brain regions vital to interpreting social and emotional cues. In middle childhood, the brain is open for suggestions. What do I need to know? What do I want to know? Well, you could take up piano, chess or juggling, learn another language or how to ski. Or you could go outside and play with your friends. If you learn to play fair, friends will always be there. Ron Huxley Reacts: I was intrigued by this topic of this article by the New York Times as middle childhood doesn’t get much press. I am not much on “evolutionary” talk but if you can get by that, you will find this a very enlightening post on the 6 to 12 year old child. Children’s temper tantrums are widely seen as many things: the cause of profound helplessness among parents; a source of dread for airline passengers stuck next to a young family; a nightmare for teachers. But until recently, they had not been considered a legitimate subject for science. Now research suggests that, beneath all the screams and kicking and shouting, lies a phenomenon that is entirely amenable to scientific dissection. Tantrums turn out to have a pattern and rhythm to them. Once understood, researchers say, this pattern can help parents, teachers and even hapless bystanders respond more effectively to temper tantrums ??? and help clinicians tell the difference between ordinary tantrums, which are a normal part of a child’s development, and those that may be warning signals of an underlying disorder. The key to a new theory of tantrums lies in a detailed analysis of the sounds that toddlers make during tantrums. In a new paper published in the journal Emotion, scientists found that different toddler sounds ??? or “vocalizations” ??? emerge and fade in a definite rhythm in the course of a tantrum. “We have the most quantitative theory of tantrums that has ever been developed in the history of humankind,” said study co-author Michael Potegal of the University of Minnesota, half in jest and half seriously. The trick in getting a tantrum to end as soon as possible, Potegal said, was to get the child past the peaks of anger. Once the child was past being angry, what was left was sadness, and sad children reach out for comfort. The quickest way past the anger, the scientists said, was to do nothing. Of course, that isn’t easy for parents or caregivers to do. “When I’m advising people about anger, I say, ‘There’s an anger trap,”‘ Potegal said. Even asking questions can prolong the anger ??? and the tantrum. That’s what parents Noemi and David Doudna of Sunnyvale, Calif., found. Their daughter Katrina once had a meltdown at dinnertime because she wanted to sit at one corner of the dining table. Problem was, the table didn’t have any corners ??? it was round. When David Doudna asked Katrina where she wanted to sit, the tantrum only intensified. In a video of the tantrum that Noemi Doudna posted on YouTube, Katrina’s tantrum intensified to screaming, followed by the child throwing herself to the floor and pushing a chair against a wall. “Tantrums tend to often have this flow where the buildup is often quite quick to a peak of anger,” Green said. That’s because, when looked at scientifically, tantrums are no different than thunderstorms or other natural phenomena. Studying them as scientific subjects rather than experiencing them like parents can cause the tantrums to stop feeling traumatic and even become interesting. Noemi Doudna said she now looks back on Katrina’s tantrums and sees the humor in them. Ron Huxley’s Reaction: I enjoyed this story on several levels: 1. It helps parents normalize a very frustrating behavior problem and informs them that the best thing they can do is “nothing.” I would add that “nothing” doesn’t mean no empathy. Sit with the child and make sure they don’t hurt themselves accidently but don’t give them any extra attention either. This makes it worse. 2. It links the emotional connection between anger and sadness. Anger is a very irrational behavior that is pure emotional brain with no logic. Anger pushes others away. Sadness draws them closer and is usually what underlies the harsher, more energetic emotion of anger. Parenting is one of the toughest jobs around. Guiding children in today’s world takes a huge amount of physical and emotional energy. Parenting is a lively dance involving the interplay between the child’s style and the parent’s approach and responses. Children are born with their natural style of interacting with or reacting to people, places, and things?? ?their temperament. In the late 1950s, temperament research began with the work of Alexander Thomas, Stella Chess, and associates. The New York Longitudinal Study identified nine temperament characteristics or traits. The researchers found that these nine traits were present at birth and continued to influence development in important ways throughout life. By observing a child’s responses to everyday situations, the researchers could assess these temperaments. Temperament is stable and differs from personality, which is a combination of temperament and life experiences, although the two terms are often used interchangeably. Since the 1950s, many scientific studies of temperament have continued to show that children’s health and development are influenced by temperament. We all know children who are much more challenging to deal with than other children, starting at birth. The realization that many behavioral tendencies are inborn?? ?and not the result of bad parenting?? ?is perhaps one of the most important insights parents gain from learning more about temperament. The examination of a child’s temperament generally occurs when the child’s behavior is difficult. Clinicians use a series of interviews, observations, and questionnaires that measure the nine temperament traits using a spectrum (scale) indicating mild to intense responses or reactions. By understanding temperament, the parent can work with the child rather than trying to change his or her inborn traits. The nine temperament traits and an explanation of the dimensions are given below. Approach/withdrawal: Does he or she “never meet a stranger” OR tend to shy away from new people or things? These traits combine to form three basic types of temperaments. Approximately 65 percent of all children fit one of three patterns. Forty percent of children are generally regarded as “easy or flexible,” 10 percent are regarded as “difficult, active, or feisty,” and the final 15 percent are regarded as “slow to warm up or cautious.” The other 35 percent of children are a combination of these patterns. By understanding these patterns, parents can tailor their parenting approach in such areas as expectations, encouragement, and discipline to suit the child’s unique needs. Easy or flexible children are generally calm, happy, regular in sleeping and eating habits, adaptable, and not easily upset. Because of their easy style, parents need to set aside special times to talk about the child’s frustrations and hurts because he or she won’t demand or ask for it. This intentional communication will be necessary to strengthen your relationship and find out what your child is thinking and feeling. Difficult, active, or feisty children are often fussy, irregular in feeding and sleeping habits, fearful of new people and situations, easily upset by noise and commotion, high strung, and intense in their reactions. Providing areas for vigorous play to work off stored up energy and frustrations with some freedom of choice allow these children to be successful. Preparing these children for activity changes and using redirection will help these children transition (move or change) from one place to another. Slow to warm up or cautious children are relatively inactive and fussy, tend to withdraw or to react negatively to new situations, but their reactions gradually become more positive with continuous exposure. Sticking to a routine and your word, along with allowing ample time to establish relationships in new situations, are necessary to allow independence to unfold. Most children have some level of intensity on several temperament traits, but one dimension will usually dominate. Refrain from using negative labels such as “cry baby,” “worrywart,” or “lazy.” The child’s abilities to develop and behave in acceptable ways are greatly determined by the adults in their lives trying to identify, recognize, and respond to his or her unique temperament. By doing so, the adults can alter or adjust their parenting methods to be a positive guide in their child’s natural way of responding to the world. Parents also need to get a clear picture of their own temperament traits and pinpoint areas in which conflicts with their child arise due to temperament clashing. When there is temperament friction between parent and child, it is more reasonable to expect that the parent will make the first move to adapt. When a parent or caregiver understands the child’s temperament, he or she can organize the environment so that “goodness of fit” happens. Here are principles to keep in mind as you strive to achieve this fit. Be aware of your child’s temperament and respect his or her uniqueness without comparing him or her to others or trying to change your child’s basic temperament. Be aware of your own temperament and adjust your natural responses when they clash with your child’s responses. Communicate. Explain decisions and motives. Listen to the child’s points of view and encourage teamwork on generating solutions. Set limits to help your child develop self-control. Respect opinions but remain firm on important limits. Be a good role model because children learn by imitation. This match between the child’s temperament and the demands or expectations of his or her environment (family, school, childcare setting) greatly improves relationships. Parents who are tuned into their child’s temperament and who can recognize their child’s strengths will find life more enjoyable. It will be a dynamic dance that will last a lifetime. Goodman, R., & Gurian, A. (1999). Parenting styles/children’s temperaments: The match. New York University Child Study Center, AboutOurKids.org. Graham, J. (2001). Temperament. University of Maine Cooperative Extension, Bulletin #4358. Olson, M. (1996, Spring/Summer). Ten keys to unlocking temperament. Arizona State University Research Magazine. Turecki, S. (1985). The difficult child. New York: Bantam Books. Ron Huxley’s Remembers: Many years ago, when I first started teaching parenting education, I used a video by Stella Chess called “Flexible, Fearful and Feisty”. It was one of my favorite parenting tools. Parents loved it as well because it was an easy way to understand how one child could be so different from the other. I loved it because it separated pathological from normal behavior. At times parents fought with children who were just like them and at other times needed the balance that another temperament brought to the relationship. Tell us how you have dealt with temperamental differences in your family? Ron Huxley Relates: This study simply backs up our belief that witnessing domestic violence has a negative effect on children. This article focuses specifically on teens and how one’s peer group can help to buffer those negative effects. Apparently, teen girls have reduced effects when they have a strong peer network. Perhaps all that texting is good for them? OK, maybe that goes to far but it does support another belief that group therapy, formally or informally, can help our adolescents who have been victimized in this way. Ron Huxley’s Reaction: A recent journal article reported that mom’s multitask more than dad’s and they find the entire experience more negative than do fathers. This could be because they do most of the work around the home, as the article implies, than do dad’s. I wouldn’t like it either if I was the one doing all the work either! The article gives some very simple advice: Dad’s need to help out more. Unfortunately, like most simple advice there is more complexity behind it, like social rewards or more flexible work hours. In our home it was do whatever you could whenever you could and this way, no one got resentful that the other parent wasn’t doing their part. How do you divide the parenting/household responsibilities? Are dad’s really just slackers when it comes to parenting duties? Share your thoughts by clicking the reply button.